1. 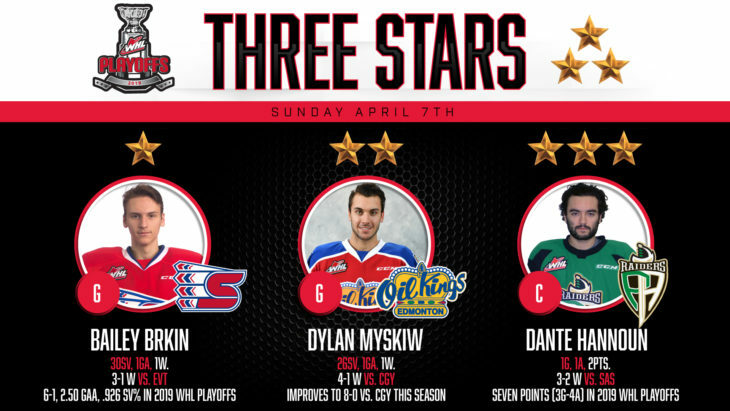 Bailey Brkin, Spokane Chiefs: The Spokane Chiefs goaltender stopped 30 of 31 shots as his team opened up a 2-0 series lead Sunday with a 3-1 win against the Everett Silvertips. Brkin stopped 10 shots in the first period, six shots in the second, and 14 in the third for the victory. 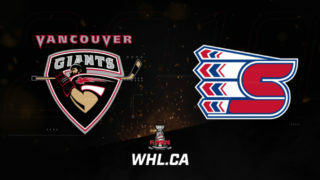 In the 2019 WHL Playoffs, the Sherwood Park, Alta. product is 6-1 with a 2.50 goals-against-average, and a .926 save percentage. For his WHL Playoffs career, Brkin is 7-2 with a 2.83 GAA, and a .917 SV% in 10 games. 2. 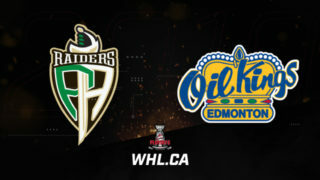 Dylan Myskiw, Edmonton Oil Kings: The Edmonton Oil Kings goaltender stopped 26 of 27 shots in a 4-1 win against the Calgary Hitmen Sunday, giving his team a 2-0 series lead. Myskiw stopped seven shots in the first, 11 in the second, and eight in the third. The Winnipeg, Man. 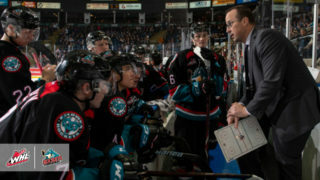 product is a perfect 8-0 against the Hitmen with the two playoff wins and six in the regular season. 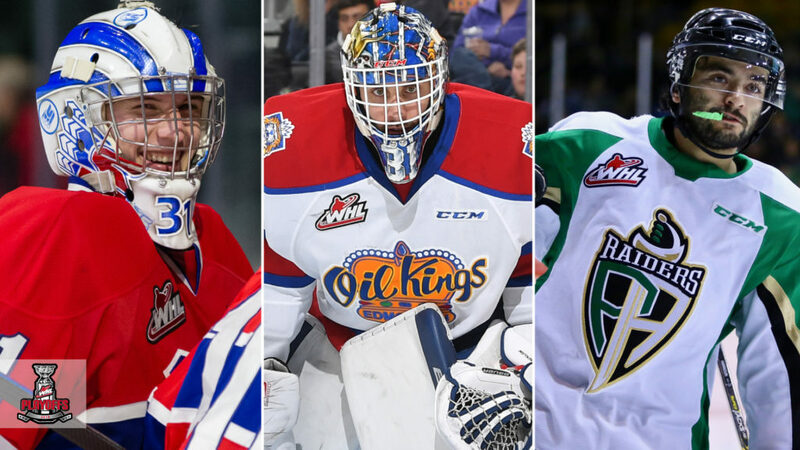 In the 2019 WHL Playoffs, Myskiw has a 3-2-0-0 record, 2.55 GAA, and a .900 SV%. For his WHL Playoffs career, Myskiw has an 8-5-1-0 record, 3.20 GAA, and a .898 SV%. 3. 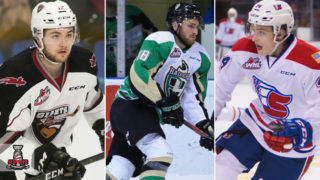 Dante Hannoun, Prince Albert Raiders: The Prince Albert Raiders forward scored once and added an assist as his team scored three unanswered goals to earn a 3-1 win and a 2-0 series advantage against the Saskatoon Blades. Hannoun scored 1:34 into the third period, then assisted on Sean Montgomery’s game-winning goal 37 seconds later. The Delta, B.C. 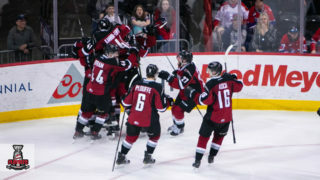 product now has seven points (3G-4A) in seven games during the 2019 WHL Playoffs. 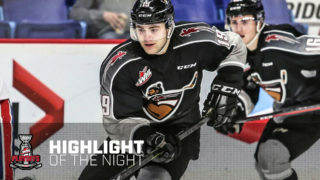 For his WHL Playoffs career, Hannoun has 30 points (11G-19A) in 38 games.